When I made Deadpool's Vespool, and then made the Lady Deadpool, I knew I will have to make a custom ride for Lady. 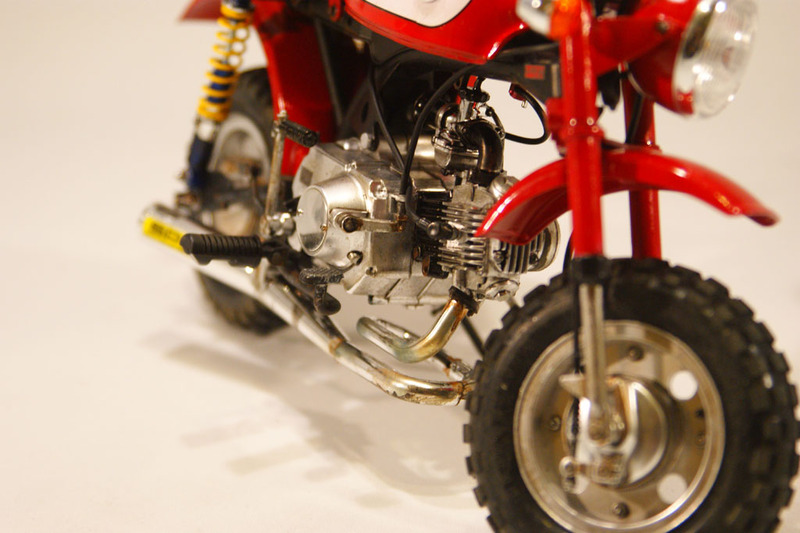 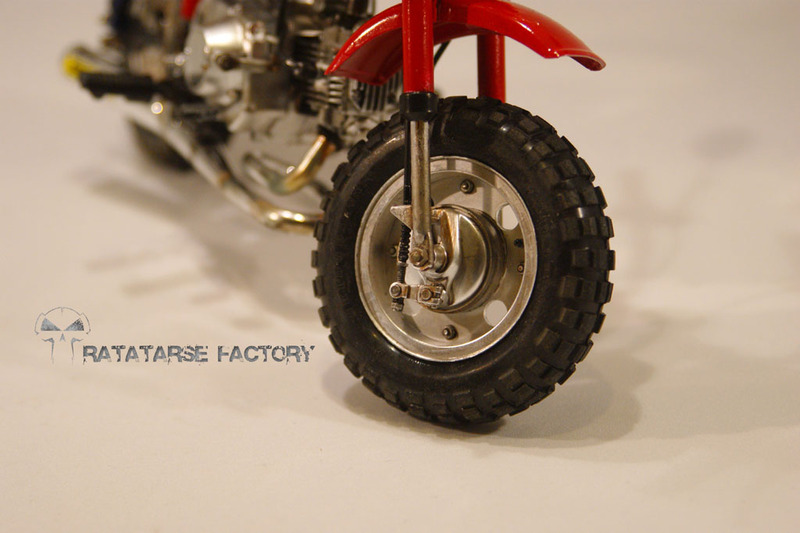 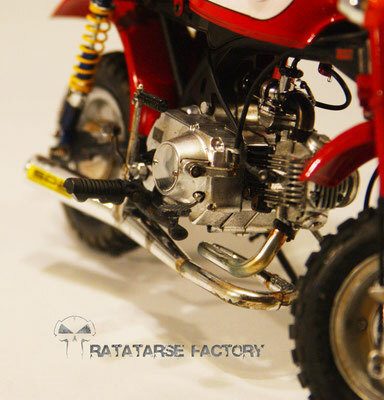 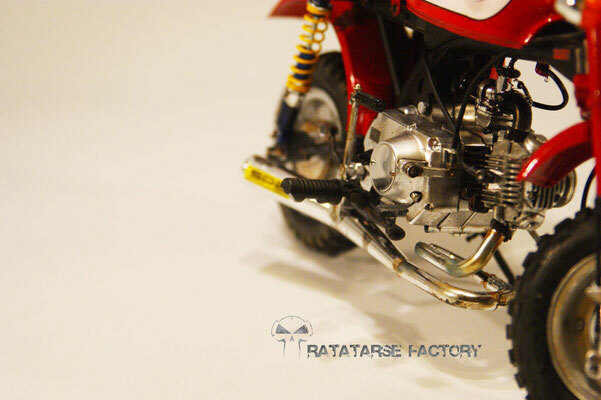 It's tiny, it's deadly, and it's prepared for race ! 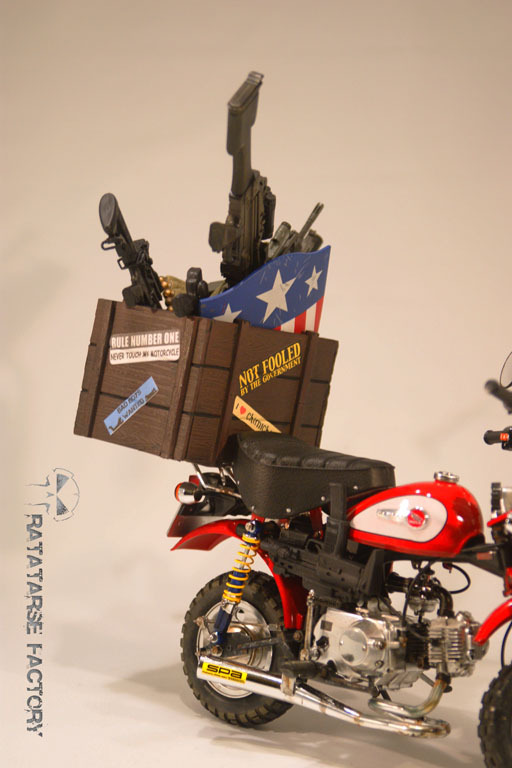 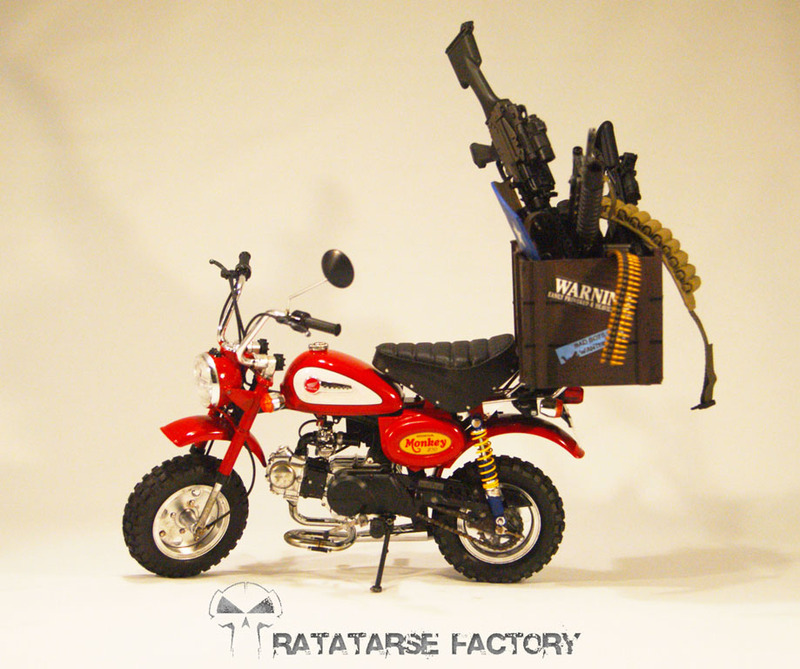 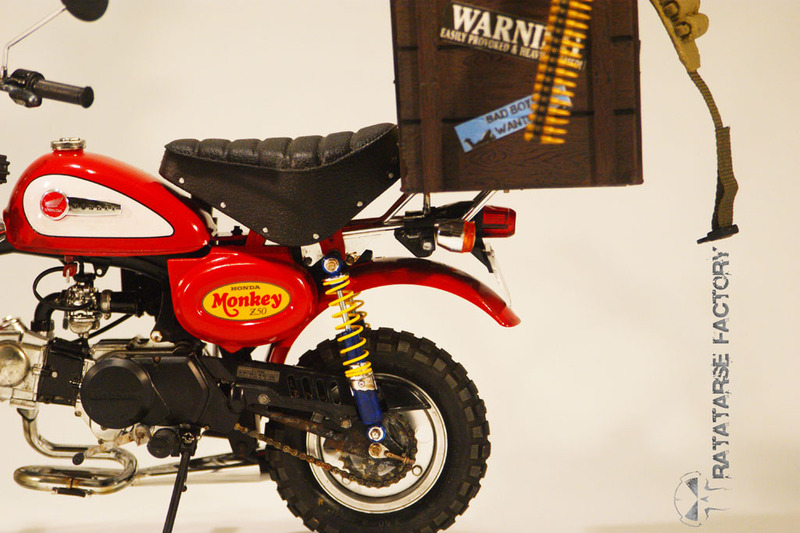 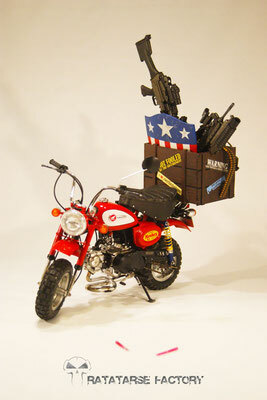 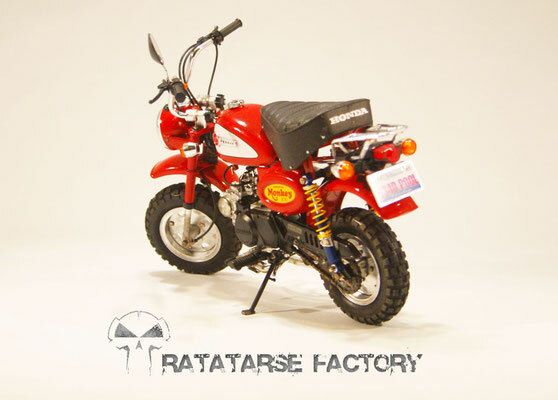 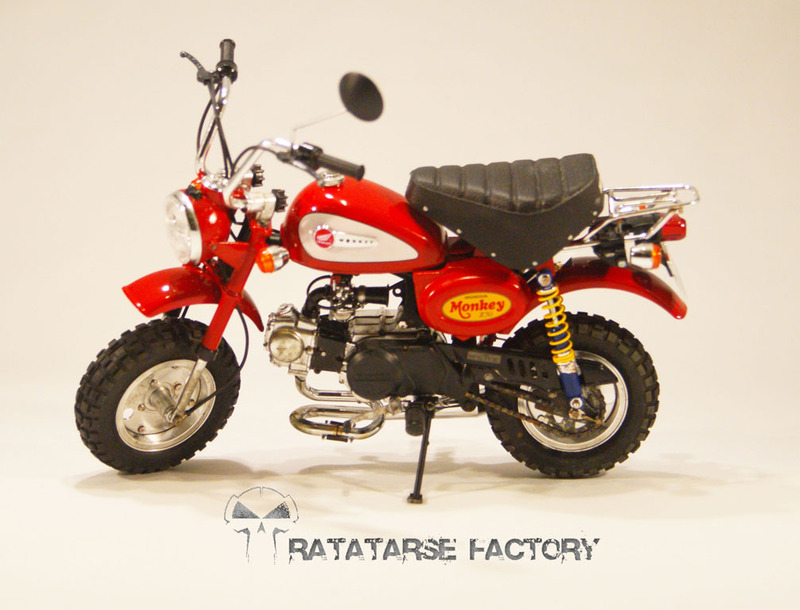 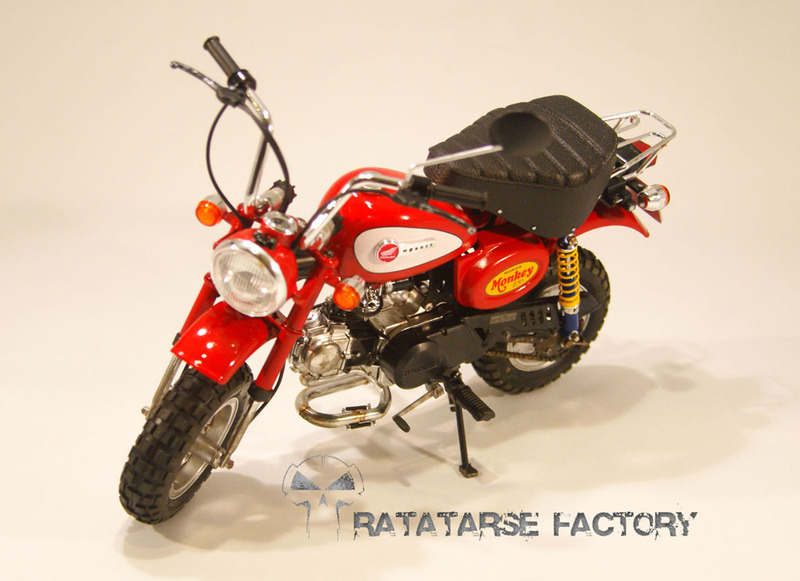 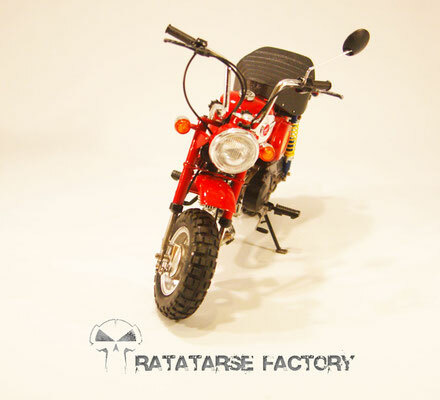 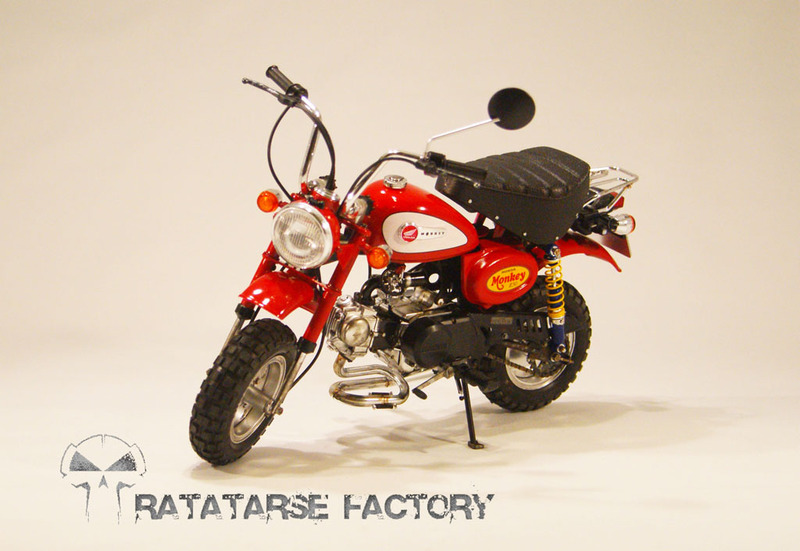 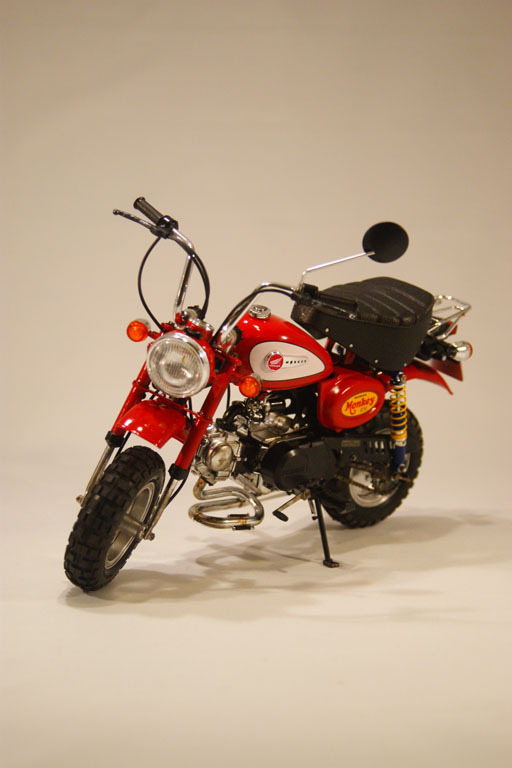 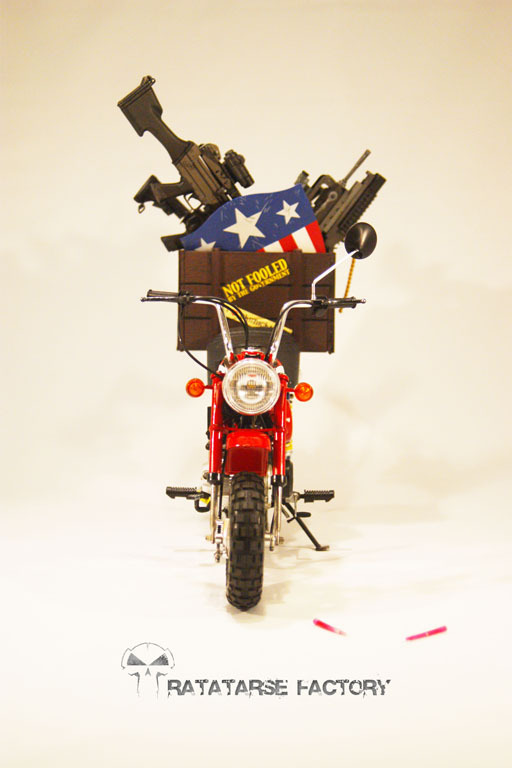 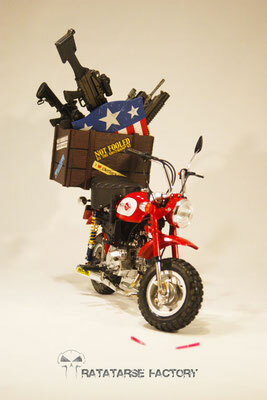 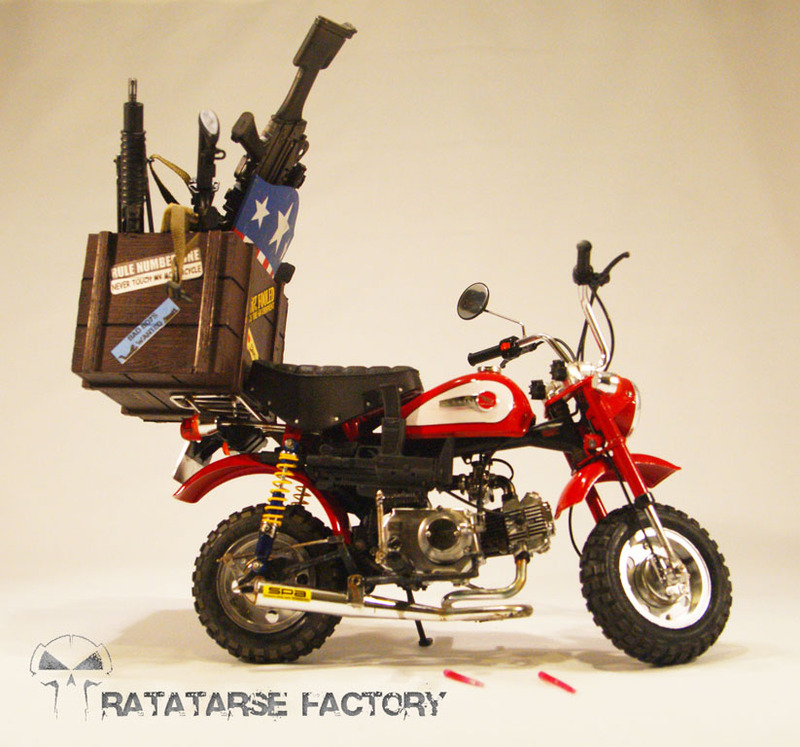 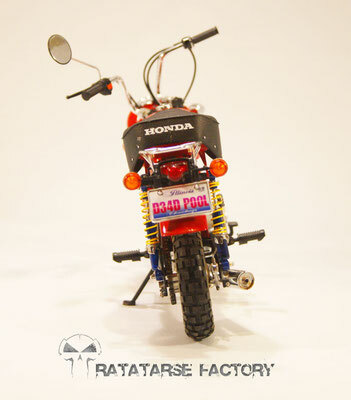 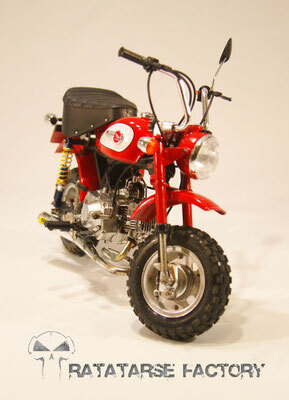 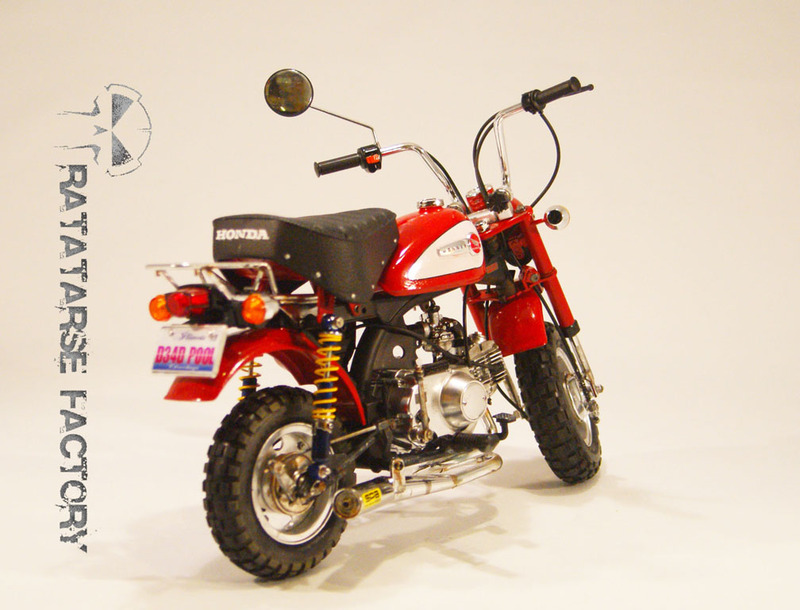 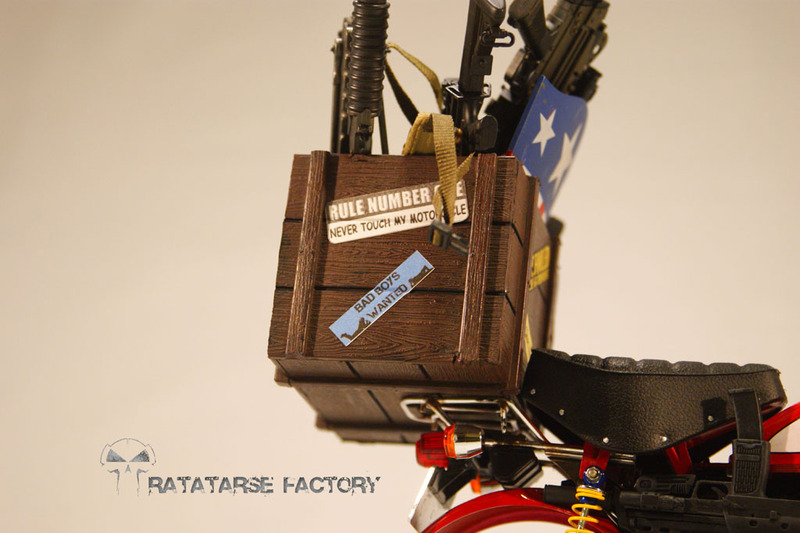 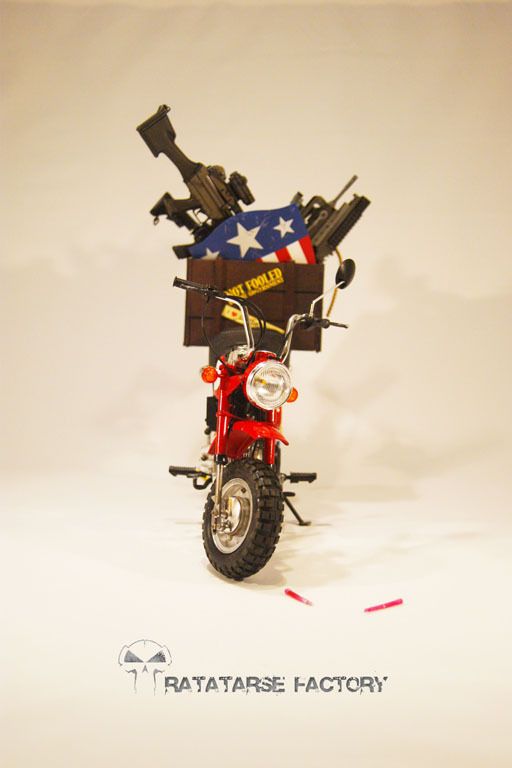 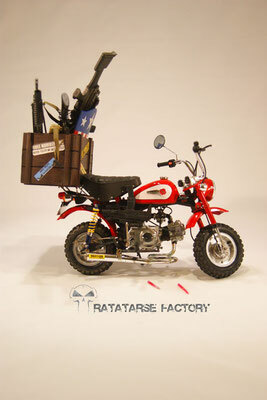 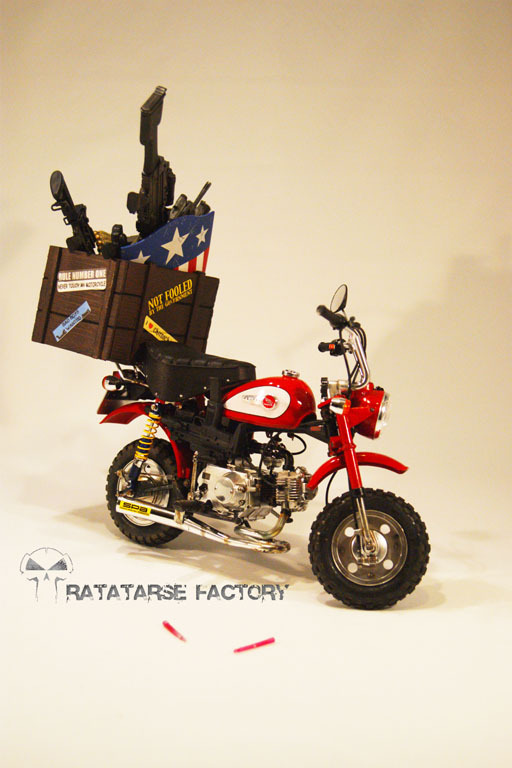 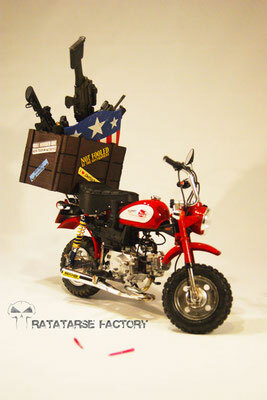 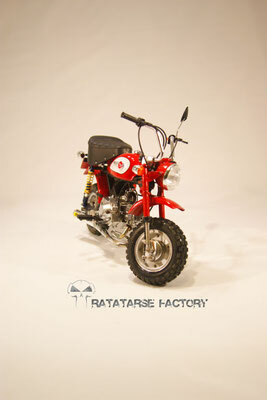 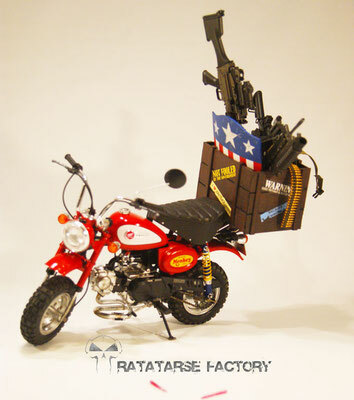 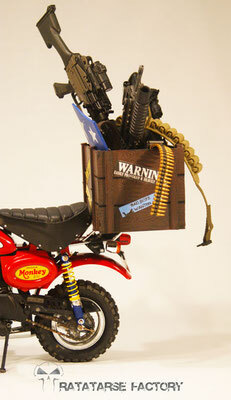 Based on excellent Honda Monkey Tamiya 1/6 kit, then modded and turned into a real road machine to bring ammo, the Monkool is ready for duty !